Home → Business → March 24-49 2014 is GYBOWeek. What is GYBOWeek? 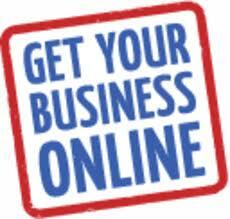 #GYBOWeek is Get Your Business Online week. A lot of us business owners will be scrambling to get our taxes done. Some of us business owners which are more organized will have done taxes months ago. Assuming your taxes are done a priority for you should be getting your business online. Actually, if your business is NOT online, forget the IRS and get your business online! I live in a small town. It never ceases to amaze me how few businesses are online. My favorite small engine shop is run by a man named Jason. Last summer my weed whacker broke. I have 6 acres of land and need a quality $200 – $300 weed whacker on hand at all times. I also try to support local businesses; I buy all of my meats from local, sustainable farms and having once owned a brick & mortar small business for 12 years I certainly appreciate the efforts small business owners go through. I try to buy local, and when I can’t buy local, I usually buy online. Anyways, I needed a weed whacker immediately. Jason’s business is not online. The process I have to go through to contact him is painful. Most people would give up and go to a big box store. This is why it is so important to be online! When I want to get in touch with Jason, I have to call a neighboring business. I call the business and ask them if Jason is open. If they say yes, I jump in my car and drive over. Jason’s small engine business is only 2 miles from me, but I don’t want to waste my time if it is not necessary. Every time I see Jason I jokingly ask him what his problem is. I tell him that I’ll set up his Google Places page for free, and he refuses. At some point you have to wonder, are these people neglecting their business? Do they not care? Not having some sort of presence online is sort of like not answering the phone, leaving the lights off, and the closed sign up all day long. Anyway,s I bought my new Echo weed whacker from Jason. I didn’t haggle on the price, I just bought it, but, his days are numbered. I only purchased it there because I already knew he carried brand new Echo weed whackers. The last time my riding mower died I ran up to Lowe’s and grabbed a new John Deere mower. My chainsaw is a Stihl from a local Stihl dealer. I don’t have time to mess around with inferior products and typically purchase premium items because they perform better, last longer, and are the most cost effective. I am frugal but will intentionally spend the extra dollars to support a local business when I can. There is no doubt in my mind I could have spent more money with Jason if his business had a simple website or even a Google Places page, but, it doesn’t. I’ll still try and support him for now, but his days are numbered. At some point I will feel like he simply doesn’t care about his customers, his business, or me. If you know someone who has a business that is not online feel free to share this article with them. A basic Internet presence can be cheap, or even free. Google has excellent directions on getting online here on GYBO.com. If a business owner can’t be bothered with that, they can always pay me to do it for them. Either way, they need to get online.